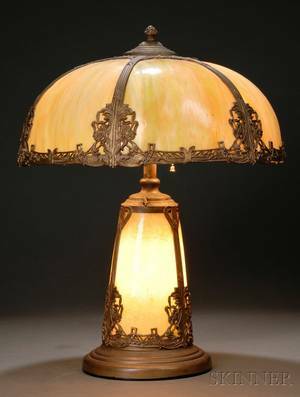 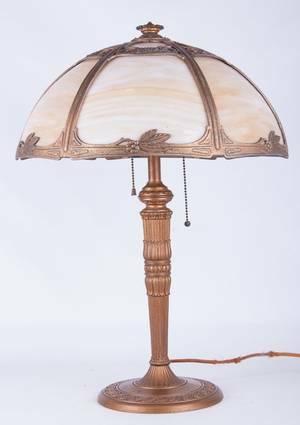 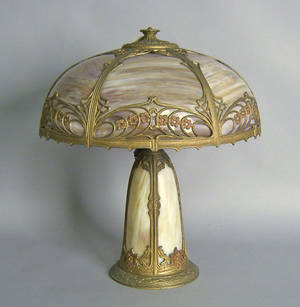 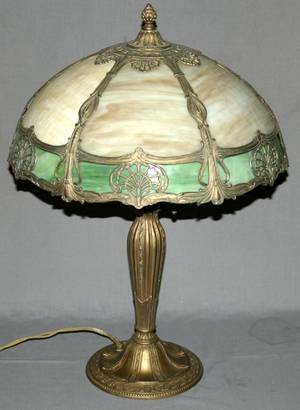 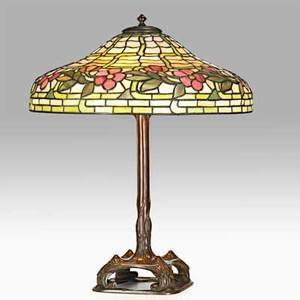 Slag glass table lamp, early 20th c. , 21" h.
Duffner & kimberly; rare slag glass table lamp with cherry blossoms, new york, ny, ca. 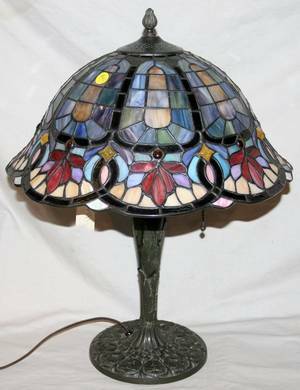 1910; slag glass, patinated metal, three sockets; unmarked; total: 24 3/4" x 20" dia. 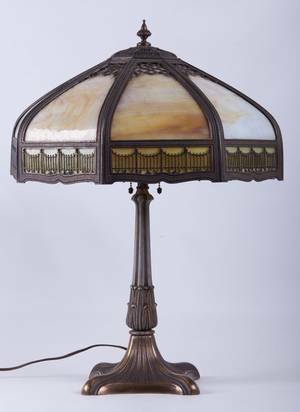 030296: SLAG GLASS TABLE LAMP, C. 1930, H 24", DIA 16"